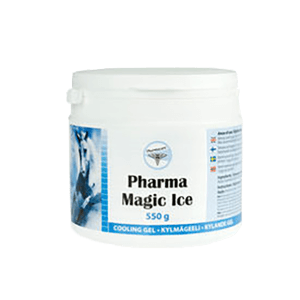 A cooling liniment that uses herbs to expedite recovery after exercise. 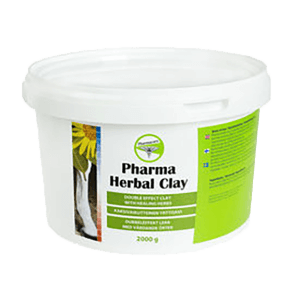 Facilitates recovery after exercise, helps prevent strain injuries, and soothes soreness in muscles and joints. 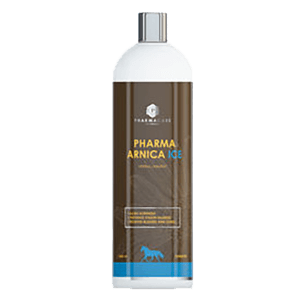 Ingredients: Aqua, Isopropyl alcohol, Hydroxyethyl acrylate, E150 (color), Kaneli poistettu, Hamamelis Virgniana, Arnica Montana flower extract, Menthol. WARNING: Do not use on open sores or irritated skin. Avoid contact with eyes. Not for consumption. Recommend use of protective gloves when applying. Store in cool dry place, out of direct sunlight. Protect product from freezing. Requires 96 hr quarantine time in horse sport as determined by STC. Apply directly to horse’s skin on affected area.